"XP was an attempt to replace waterfall development approaches with something new...[References a generic project]...objectively analyzed, [this project] was a failure; after five years the product wasn't completed and the development effort was terminated." Anybody who has been to our office knows I am an Android fan. 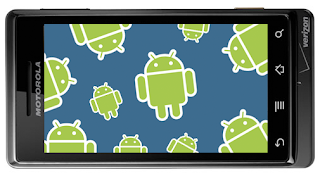 My prediction is that the Android platform will end up with a much, much larger install base than iPhone OS. Originally, I felt this way because you can get a Android phone on every carrier for a lower cost than the iPhone - many of them are now free with a contract. This is good enough, but I have a new insight. The Android OS does a great job of directing your attention to highly important information. As such, its easier for new users to pick up and for busy people to use. How can this be? You should argue that the the Android OS so similar to the iPhone OS. You are right. However, it comes down to usability. The majority of people out there won't explore their device to find information. They just want the phone to do the work for them. If it doesn't smack them in the head it might as well not exist. Android has two crucial features that make it a helper more than just a smart phone.